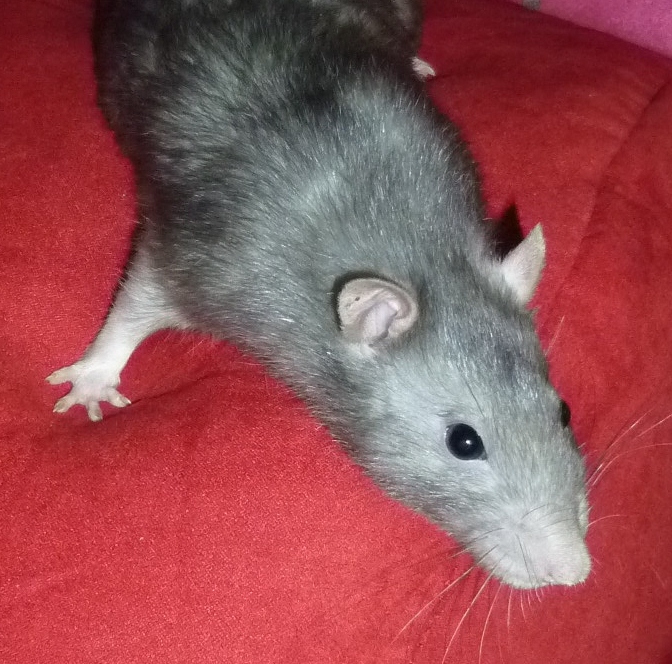 Coat - Baby pet rats for sale, Geelong Victoria. Breeding fancy and pets; common and rare breeds including Rex, Silk, Blue, Black Eyed White BEW and more. Standard is the most common coat. Fur is short smooth and straight. May have long guard hairs. Males are more course than females. Single rex has a slight kink in its coat, whiskers may be wavy. 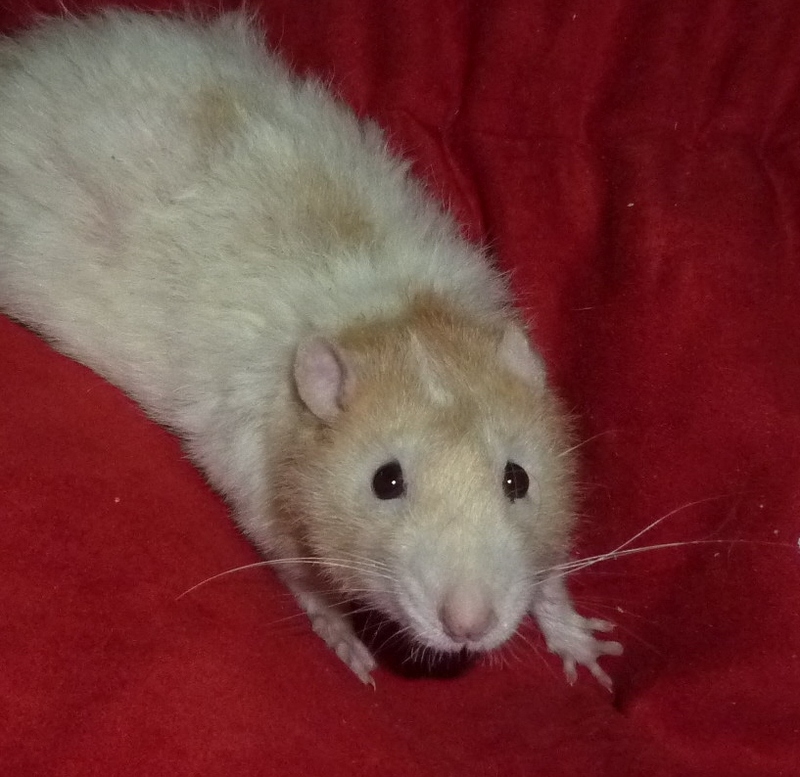 Generally single rexs fur will straighten up as they get older. Fur may thin as the rat ages. Double rex has quite a curly coat. Whiskers are also curly. Babies generally lose a lot or all their fur as they go through their moult between the 5-10 week mark. Whiskers and coat stay curled their entire lives. Silk has longer soft straight fur. 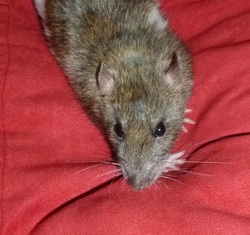 Males stay softer than standard coat, and females are also very soft to touch. 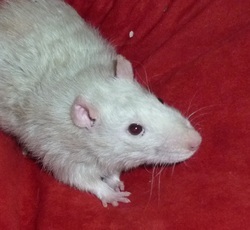 Patchwork refers to bald patches on the rat. There are 2 types of Patchwork; Rex and Silk. Patchwork rex have the double rex coat and Patchwork silk have a similar textured coat as standard silk. Patchwork rats get bald patches or thinning of the coat in patches over their bodies through out their lives. 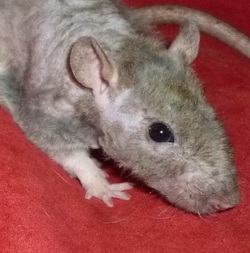 Both types go through a complete moult leaving the rat almost 'naked' between 5-10 weeks old, and may lose or get thinner fur as the rat is reaching old age.